Adam Redding of Good Intent Cider has released his latest batch of cider, thanks in large part to the Gettysburg Foundation’s Seedling to Cider Project. Last year, the foundation’s Friends of Gettysburg started recruiting young people ages 18–38 to their membership ranks. Since then, Recruits have had an impressive list of accomplishments, especially embracing the Seedling to Cider project. The project allows Recruits to assist the National Park Service in taking care of the historic orchards on the Gettysburg Battlefield. This work maintains the 1863 landscape of the land and ensures that fruit from the orchards doesn’t go to waste. 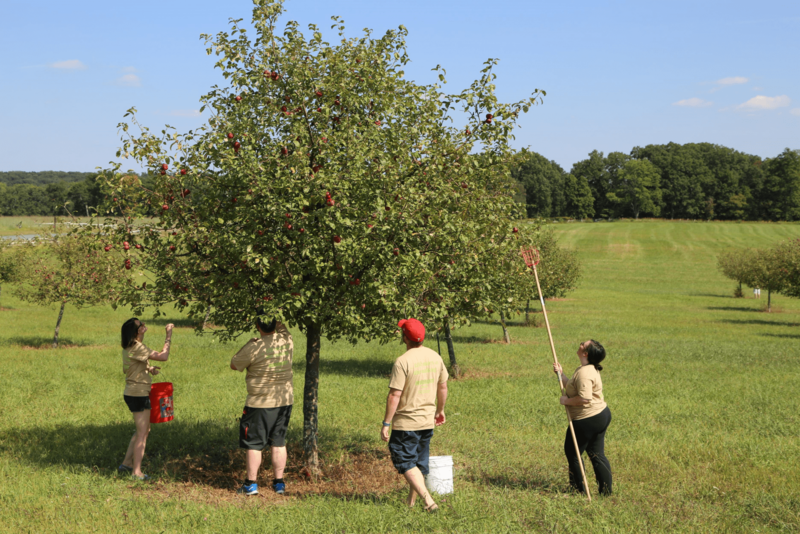 As part of this project, Recruits gathered multiple times on the Rose Farm Orchard last summer to harvest apples and returned in the winter to give the apple trees necessary pruning. The first batch of cider resulting from their hard work, Rose Farm Orchard Cider, was released in April. The second batch, Centennial Cider, is now available in limited release batch to honor the 100th Anniversary of the National Park Service. The cider is made from Enterprise apples grown on the battlefield and picked by Recruit members. Centennial Cider, aged in bourbon barrels for a full-bodied taste, contains vanilla and woody tasting notes. There are two ways to grab some of this specialty cider before it sells out—contact Gettysburg Foundation’s Ben Hansford via email at bhansford@gettysburgfoundation.org or by phone at (717) 339-2101, or head to the Good Intent Cidery in Bellefonte and purchase your Centennial Cider there. Just be sure to purchase this limited-release cider soon as it’s bound to sell out quickly!